Gold FM Sri Lanka Radio Live Streaming Online . Listen over 60 Sri Lanka FM Radio Stations live Streaming Online . Enjoy Live Stream of Srilanka Music News 24 by 7 Online . Use Google Chrome browser to listen this radio in Iphone , Android Phone , Laptop , Desktop etc . Gold FM is Sri Lanka’s highest rated English radio channel and has been a trendsetter since the inception in 1998 . The music on this FM ranges from the 60’s, 70’s and 80’s coupled with a lineup of unique programmes 24 hours of the day . Gold FM is a part of Asia Broadcasting Corporation Private Limited, a member of Rayynor Silva holdings . ALL FM stations Plays well in Google Chrome or Mozilla Firefox browsers . With the best mix of oldies, soul and rock & roll, spend your time listening to the songs that changed the music world forever . It is the most listened to radio station in Sri Lanka . 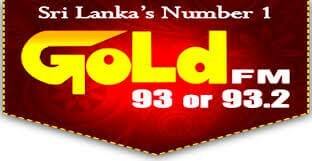 Gold FM Sri Lanka 93 Mhz or 93.2 Mhz . Head Office Address : Asia Broadcasting Corporation Pvt Limited , 35th Floor , East Tower , World Trade Center , Colombo 01 , Sri Lanka .